Build confidence in your business today with Crunchboards. 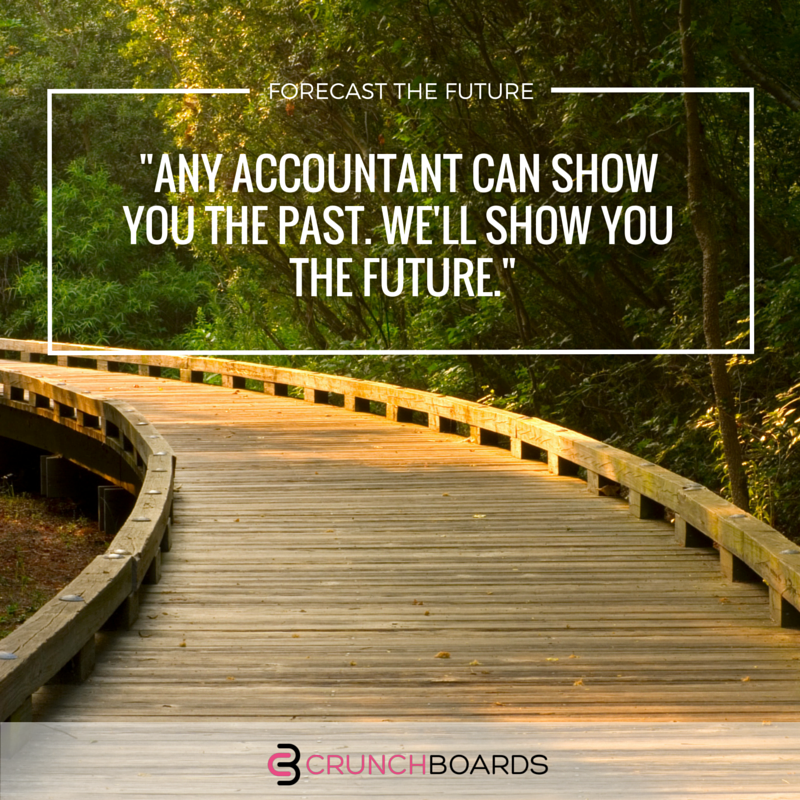 25 Aug 2016Build confidence in your business today with Crunchboards. There is a wave of reform surging through accountancy at the moment, a changing of the guard you might say. It’s great for us accountants, but for you the clients, it’s even better. Typically accountants are firmly entrenched in the past, collating and processing historical data on your business for compliance reasons. Although this is required by HMRC and relevant, rarely does the focus change to what happens in the future. But, if you’re going to take your business forward, and really see change for the better, your eyes need to be set on the horizon and what is coming up. This is where Crunchboards comes in. Now we’ve always taken a progressive approach at The Peloton, a more involved and hands on role with our clients and their businesses. In Crunchboards we have found a team that share many of our values and have the tech to provide the answers to lots of our client’s questions. Crunchboards was started to by two successful business owners and start-up entrepreneurs Hannah and Amy. They’ve been in the position of having dead-end meetings with their accountants with out of date information. It wasn’t good enough so they did something about it. 2 years after launching and Crunchboards is gaining momentum and gathering followers every day across the world. Hannah and Amy feel that if you are pouring your time into your business, you need it to be as easy as possible to make informed decisions. Allowing you to take control of your future and give yourself confidence in what you are achieving. The core group of features for Crunchboards are, Budgets, Forecasts and Scenarios. This really is the death of the spreadsheet as we know it (finally!). Budgets – where you want to your business to be going. This could be for the next year, or even the next 5 years. It means committing to a future version of your business that you want to see happen, it could include turnover targets, sales figures or % growth. Forecasts – what is actually happening in your business right now. If your budget is the desired outcome or target, a forecast shows how you are progressing towards it. This is week by week, month by month information on the performance of the business. Scenarios – Similar to your budget, lets call that plan A, but what if something changes dramatically? A great example would be Brexit, many companies were asked to provide financial predictions for their budgets based on staying in or leaving the EU. This is scenario planning, having multiple options for you business incase life gets in the way and throws you a curveball. Particularly handy for start-ups looking to provide additional information when applying for grants or funding. The beauty of all this is that once set-up these key features and the hundreds of variations are easy to glance at and get an immediate impression of what is happening in your business. That is a powerful tool for anyone from a self-employed gardner to a tech start-up with a £50 million turnover. This isn’t about Crunchboards as a piece of software or some new fad, it’s part of a bigger picture. Cloud based accountancy is here to stay and we are championing this movement here in Cornwall and across the South West. Our aim is to take your company and provide an end-to-end service, using data from the point of sale or source of income and processing it through Xero’s platform and into meaningful Crunchboards reports. This is what will help your business thrive now and into the future. We’ll be introducing you to, and exploring some of the more complex features of Crunchboards in the weeks to come, in the meantime you can demo Crunchboards here. It’s hard to get as excited as accountants do about finances, but if this has sparked an interest for you give us a call on 01326 66 00 22 to see how we can build end-to-end cloud accounting into your business.